My name is Mark Langford and I have an older brother, Gale, who was stationed at Camp McDermont in 1968 as an MP in the Army. I plan to vist Nha Trang in January and I am wondering if there are any landmarks or remnants of the camp left? 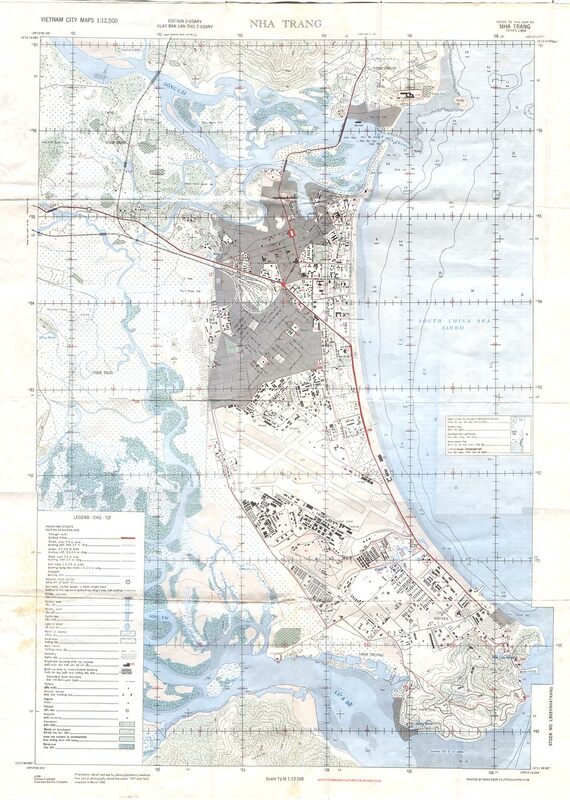 Can you provide me with any information that might be useful in locating the area of the camp and the beach the soldiers used? I enjoyed your web site very much. Thanks for sharing the pictures. I have maps on the site that show the exact location of the camp in relationship to the city. Please send me photos that I can add to the site. I wanted to go see Nha Trang because of my interest in the history of the Vietnam War, the Vietnamese culture and because that is where my older brother, Gale Langford, was stationed for one year as a Military Policeman in 1968. I am not sure where in the Camp the MP's were headquartered. I did complete the trip and it has taken me a year to get my photos organized to send to you. Ironically, I am writing you from Saigon to which I have returned this year for the Tet celebration. I won't be going to Nha Trang on this trip but expect to go there again one day. Maybe then, I can learn more. 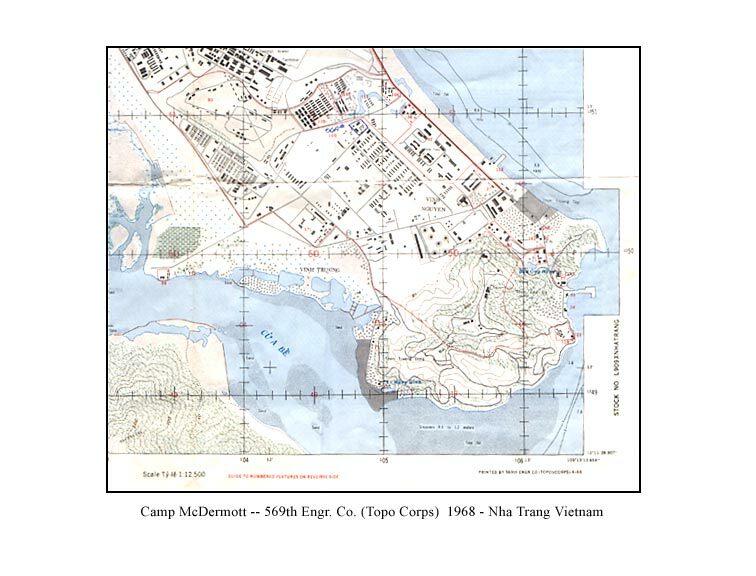 I found the area in Nha Trang where Camp McDermott used to be. I believe it is being used by the Vietnamese Marines now or at least the main buildings of the base near the main road. The air strip does not appear to be used anymore. The beaches are still nice and they have one or two upscale resort hotels right on the beach. I learned most of the American war presence in Vietnam was demolished or changed soon after the war ended. Some of the buildings are left and many of the French style buildings that predated the American presence. I found this to be true when I went further north to take the DMZ tour and visited Khe Sahn. Please let me know if you are able to open and use these photos. Sorry it took me so long to get them to after the kindness of your response about my trip. I have to send in two messages. Please look for more photos on another message. There was a MP company right next door to us in Camp McDermott. I believe it was the 504th MP Company. YOur brother may have been a close to neighbor to us. Thank you for sending the photos and adding to our website.